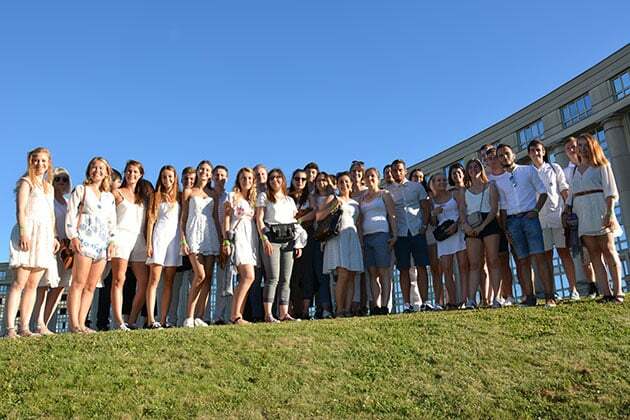 All the students at our French language school get together at our White Party. Come and learn French in the South of France and party the night away! Come and study French in the South of France and have fun at our different evening parties organized by our EasyFrench language school in Montpellier. 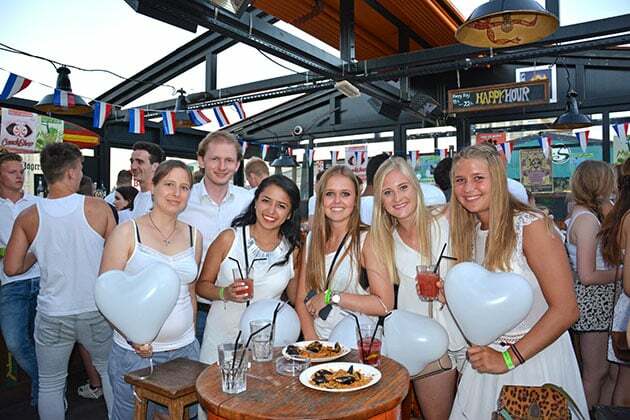 Every year in June, we organize the famous White Party to celebrate the beginning of Summer with our students. 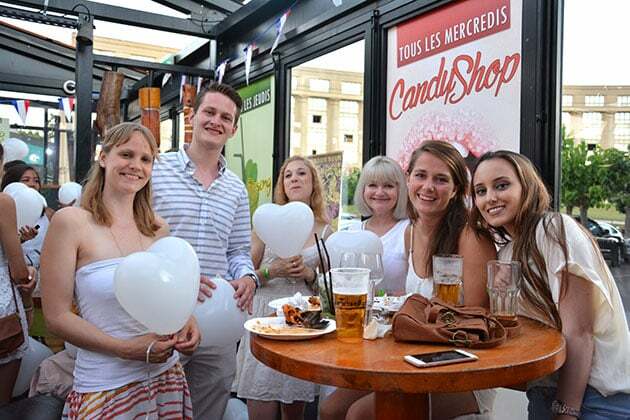 You mustn’t miss out on our mythical White Party organized by our French language school in Montpellier. Every year just before Summer, all the students from the school get together to celebrate the end of the course for some and the beginning for others. Come and share this moment with students of all ages and from all over the world. The only rule is that you must dress up in white to have a radiant and festive evening. Come and light up the dance floor and have fun with your friends! The incredible and unique White party evening organized by the EasyFrench language school in Montpellier will leave you with unforgettable memories. An idyllic setting, a great atmosphere, the Sun of the South of the France: do not miss this elegant and prestigious evening! Early evening, we will all leave the language school in Montpellier dressed in white. Souvenir photos and videos will be taken on the way to the party, in front of the opera in Montpellier but also on the river bank of the River Lez. We will make a large family photo as a souvenir of your language stay in the South of France. The evening party will take place in an Australian bar, one of the most trendiest bars in Montpellier, where homemade paella is ready for you to taste. We will continue the evening with cocktails prepared right before our eyes. The DJ of the Australian Bar will make you dance on the track to the end of the night. This unbeatable evening party will give you the chance to really have a wonderful time dancing to your favourite music, leaving you with magnificent souvenirs of your time in the South of France. 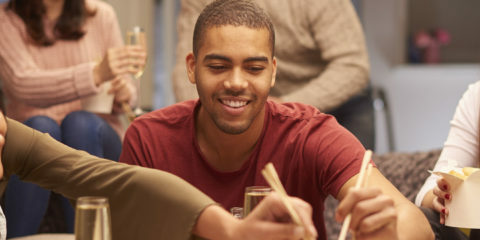 Don’t hesitate to sign up for the different evening parties at our EasyFrench language school to make the most of your language immersion in Montpellier. Come and learn French in the festive atmosphere of the South of France and make the most of your language stay in Montpellier.